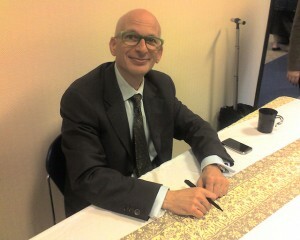 If you have read Seth Godin’s blog, you know that he is one smart dude. His blog posts are filled with useful observations and insights from the business world. And, as you might have noticed, many of his blog posts are short and sweet. They get to the point and then end. He doesn’t use a lot of words to express something that could be said with fewer. That is part of the beauty of his style of blogging. And, I think that it is very effective. Therefore, I’m going to give it a try. On Tuesdays, I plan to blog in my usual style. On Fridays, I’m going to try to blog like Seth Godin. Photo credit: Peter Bromberg on Flickr.